Last week, we had the privilege of speaking at the Future of Medicaid Innovation Forum in San Francisco. 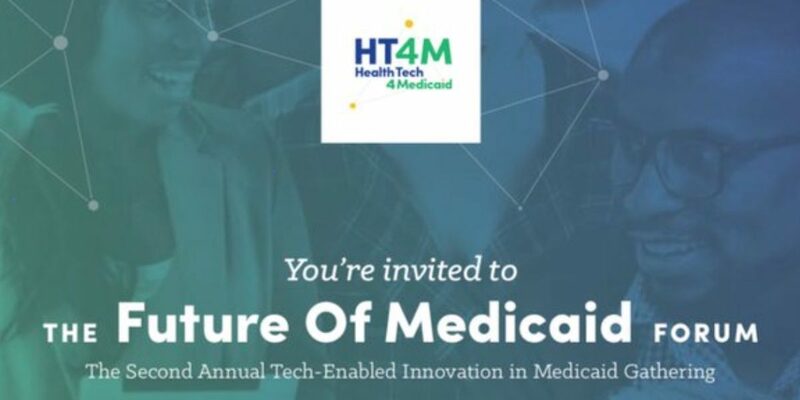 The event was hosted by HealthTech4Medicaid (HT4M), a nonprofit coalition of entrepreneurs who believe in a strong and dynamic Medicaid program that can efficiently connect people to the health care they need. HT4M facilitates cross-sectoral, collaborative partnerships in health technology nationwide, to radically change the pace of innovation in Medicaid with educational programming, resources and tools to facilitate cutting-edge fora and partnerships for venture-backed entrepreneurs, payers and providers. Last week’s conference was a great example of industry leaders rallying around the idea of a better future for supporting our country’s most vulnerable populations. Below is a collection of some of the most compelling tweets from the forum. It was an inspiring day of discussion and debate around what’s next and what’s needed, led by some of the industry’s most forward-thinking experts. MedCityNews produced a great synopsis of the day for their site. You can reach that article here. Want to hear more about last week’s agenda and the ideas shared during the forum proceedings? Contact us here. Also, be sure to check out HealthTech4Medicaid (HT4M) online at https://ht4m.org to learn more about the organization’s mission and to see how you can be a part of setting a better course for Medicaid in the future.